This story was updated May 17, 2018, at 11:45 p.m. with more information. 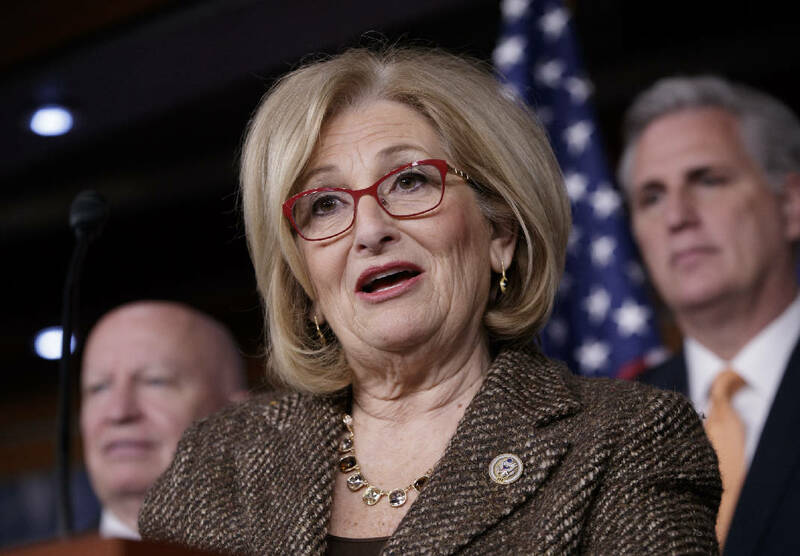 NASHVILLE — Republican U.S. Rep. Diane Black is the best-known candidate in Tennessee's governor's race, but she also has the highest negative ratings among all voters, according to a Vanderbilt University poll released Thursday. While 86 percent of the 1,400 self-identified Republican, Democratic and independent voters surveyed said they recognize Black, the Gallatin congresswoman's negative views are higher than her favorable ones. Forty-six percent said they held a negative view of Black, compared to 44 percent saying they viewed her positively. But with a plus-or-minus 3.6 margin of error in the poll, released Thursday, her favorable views could be slightly above water. Knoxville businessman and former state economic and community development commissioner Randy Boyd had the second-highest name recognition in the GOP primary field with 68 percent. Fifty-three percent said they viewed Boyd favorably, while 29 percent saw him negatively. Black's issues appear to stem in part from views of independent voters, where 52 percent said they held negative views about her and just 40 percent looked at her favorably. But in Black's most immediate upcoming contest, the Aug. 2 GOP primary, 71 percent of self-identified Republicans said they viewed the congressman favorably. Just 18 percent saw her negatively, while 11 percent said they didn't know. Sixty-six percent of GOP voters said they held favorable views of Boyd, and 18 percent held negative ones. Both Black and Boyd have been advertising heavily on television. Vanderbilt poll co-directors Dr. John Geer and Dr. Josh Clinton said the name recognition and favorability scores of all six leading Republican and Democratic gubernatorial candidates suggest sharp differences among Black and Boyd could provide an opening in the fall for Democrat Karl Dean, a former Nashville mayor. Dean's current name identification is low — 47 percent — but he began television advertising this month. His Democratic primary rival, state House Minority Leader Craig Fitzhugh of Ripley, was known by just 13 percent among all surveyed. Among just Republicans, all four GOP hopefuls — the list includes state House Speaker Beth Harwell of Nashville and Franklin businessman Bill Lee — have above 50 percent favorability, according to the poll. Lee had 63 percent favorability among GOP voters, while Harwell had 56 percent. Among all voters, 53 percent recognized Harwell's name, while just 33 percent recognized Lee, making him the least known in the GOP field. While the margin of error among all voters is 3.6 percent, it rises in subcategories. To minimize that, Geer said, the decision was made to boost the number of overall voters polled to 1,400. The margin of error in sub-categories is about 5 to 5.5 percent, he said. Among all voters, Lee had the highest favorability at 55 percent. Twenty-five percent held unfavorable views. While least known, Fitzhugh had higher unfavorable views — 37 percent. Only 35 percent viewed him favorably. Seventy-three percent of Democrats said they viewed Dean favorably, while 55 percent saw Fitzhugh in favorable terms. Dean served two terms as Nashville's mayor, a nonpartisan position in Tennessee's largest media market. He posted the highest favorability score among independents of all six leading gubernatorial candidates at 60 percent. » President Donald Trump's job approval rose by four percentage points in the university's latest poll, going from 48 percent to 52 percent. » U.S. Sen. Bob Corker, R-Tenn., is above water for the first time in over a year in a Vanderbilt poll, going from 47 percent to 52 percent since January. The senator, who last year announced his retirement only to reconsider briefly this year, has had an on-and-off relationship with Trump. » U.S. Sen. Lamar Alexander, R-Tenn., has a job approval of 50 percent, up from 44 percent in January. » Retiring Gov. Bill Haslam's approval rating dipped slightly but remains high at 61 percent, down two percentage points from January.